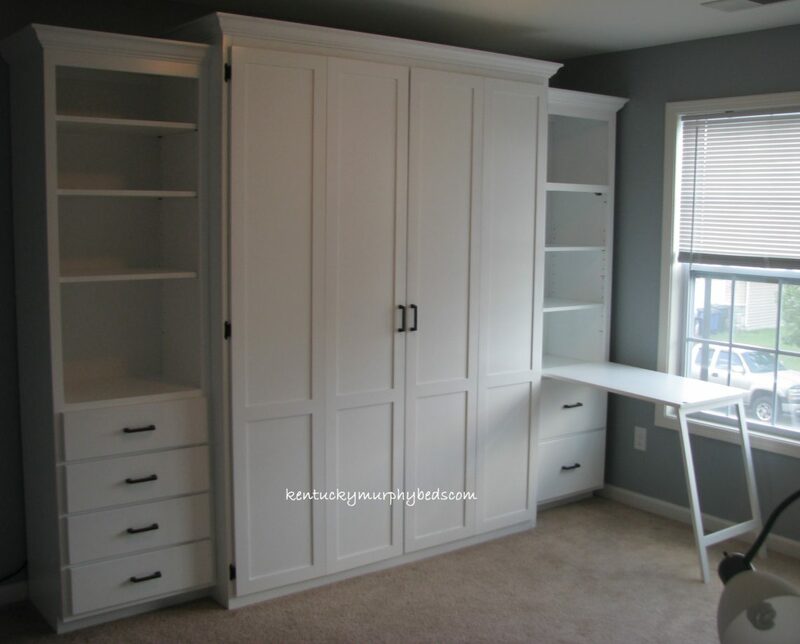 Dreaming Of A Home Office? Want to spend a little more time at home and a little less time in the office? We have your answer. 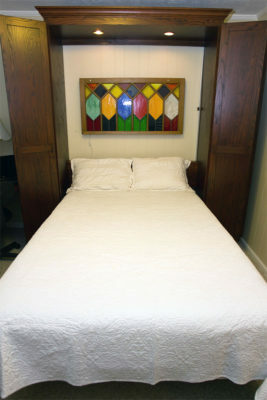 Need to keep options for guests to use, but don’t want to dedicate an entire room to occasional guests? We understand. Have you been dreaming of starting a side business or becoming a full-time entrepreneur, but can’t find the room? We can help. Chasing the “American Dream” has never been easy, but your pursuit doesn’t have to be complicated by a lack of physical space. 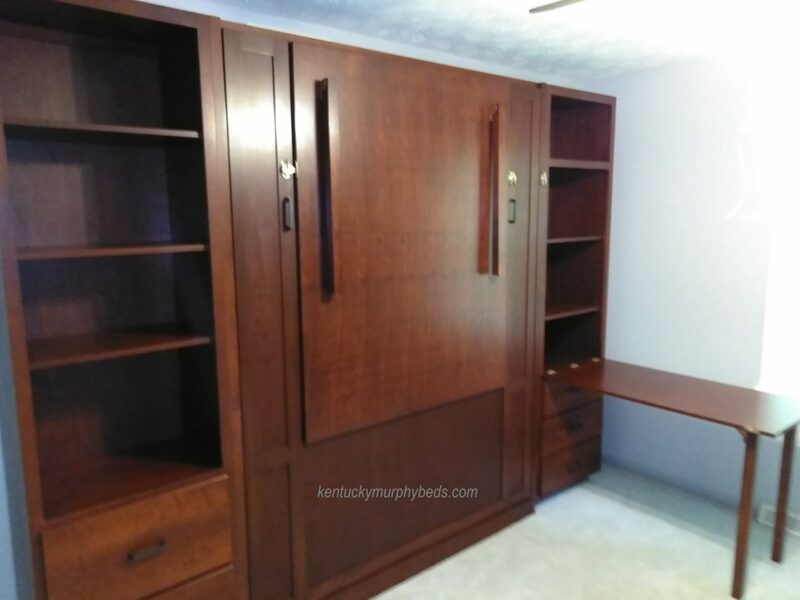 We can help you design the perfect home office in a guest room, in a bedroom, or even in the living room. 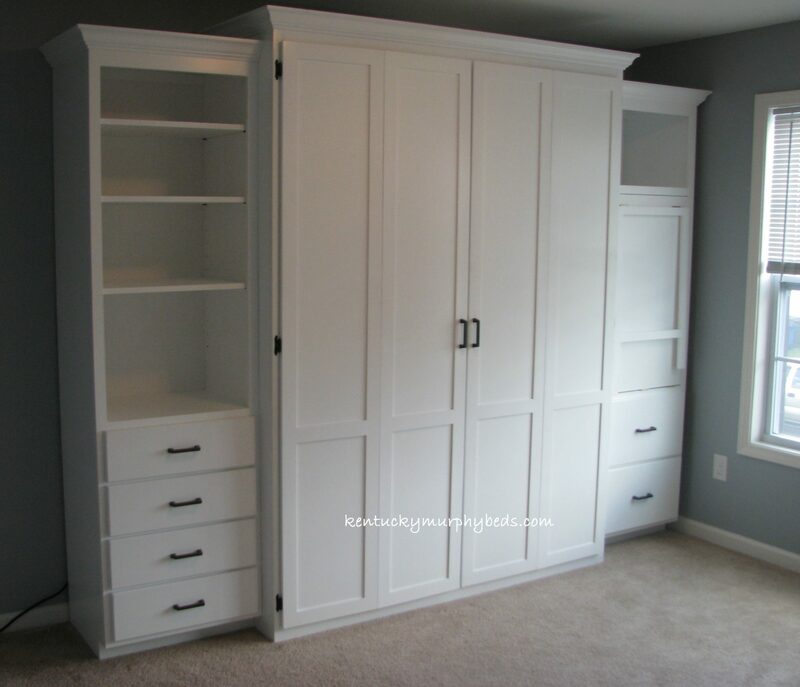 Our solutions do more than provide an office with a desk and storage space. Our solutions give you an amazingly comfortable sleeping space. 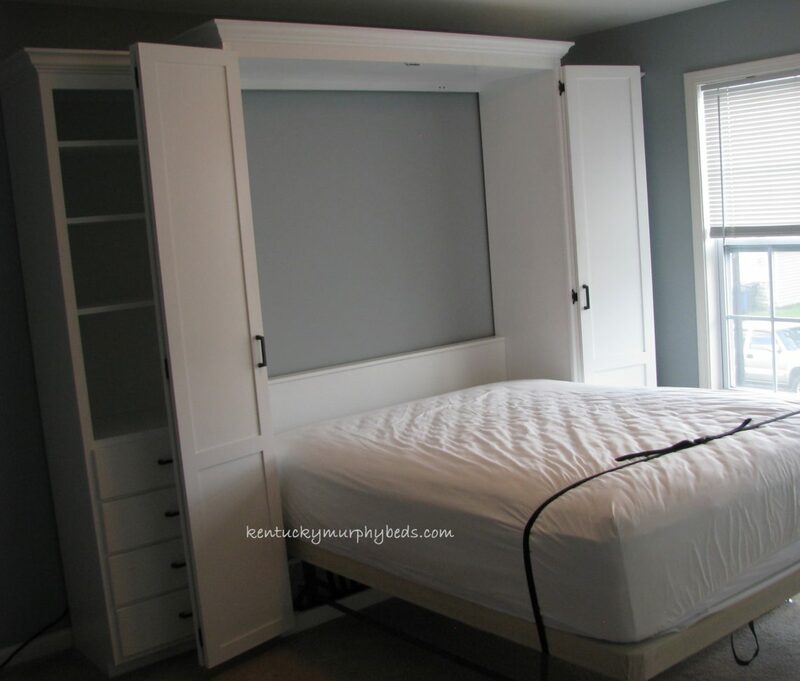 When not in use, that sleeping area will vanish into high-quality cabinetry in mere seconds. A Desk Option for the Smallest Spaces! 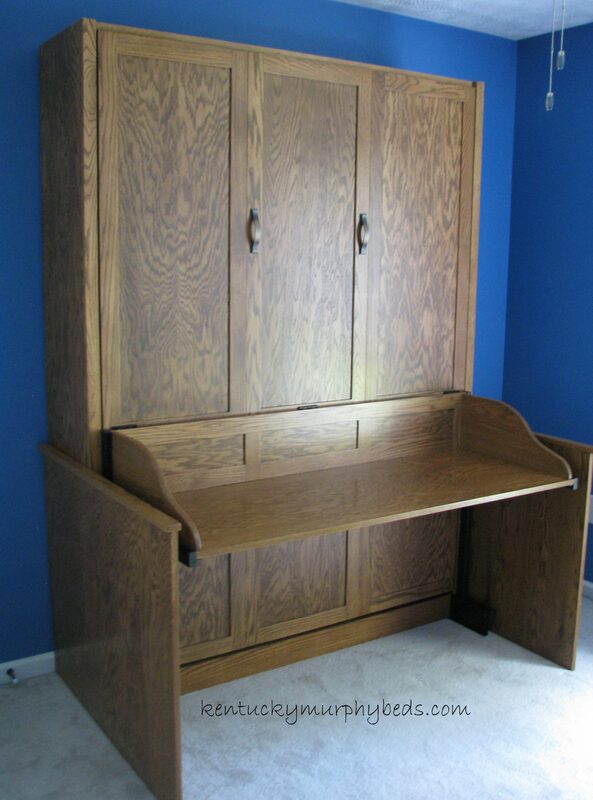 Don’t want to have a wall desk? Need a just right work space to pay bills, write that novel, or surf the web? 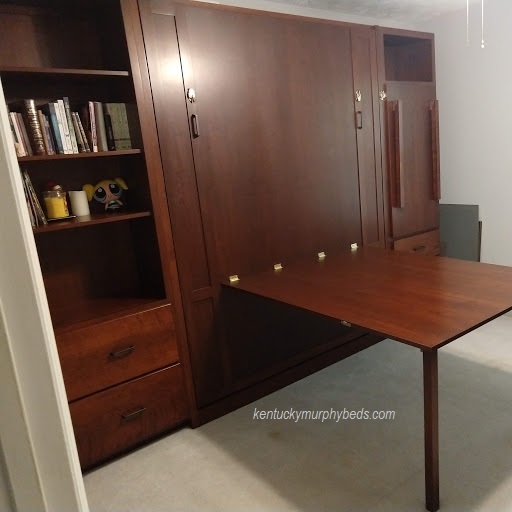 This Studio Desk option is attached to a panel door Murphy bed cabinet. This clever hardware design supports a 22″ deep desk top with 8 1/2″ riser which folds out of the way when you lower the bed. Presto! An office becomes a bedroom. 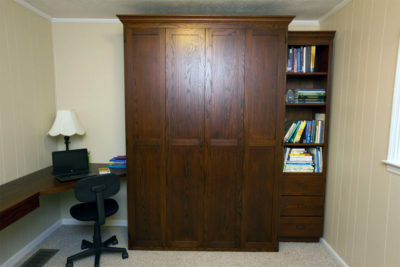 The oak beauty shown is a panel door Murphy bed with integrated desk top; a perfect office and guest room combination. You Deserve to Have it All! 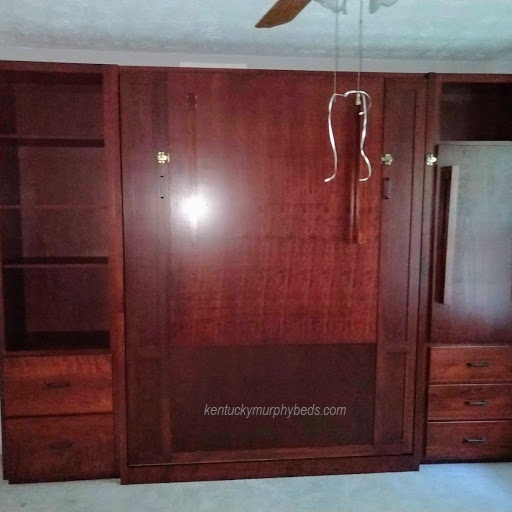 Our Murphy Beds of Central Kentucky home furnishing systems will keep you looking professional, while your space remains practical (and easily convertible) for multi-purpose use. 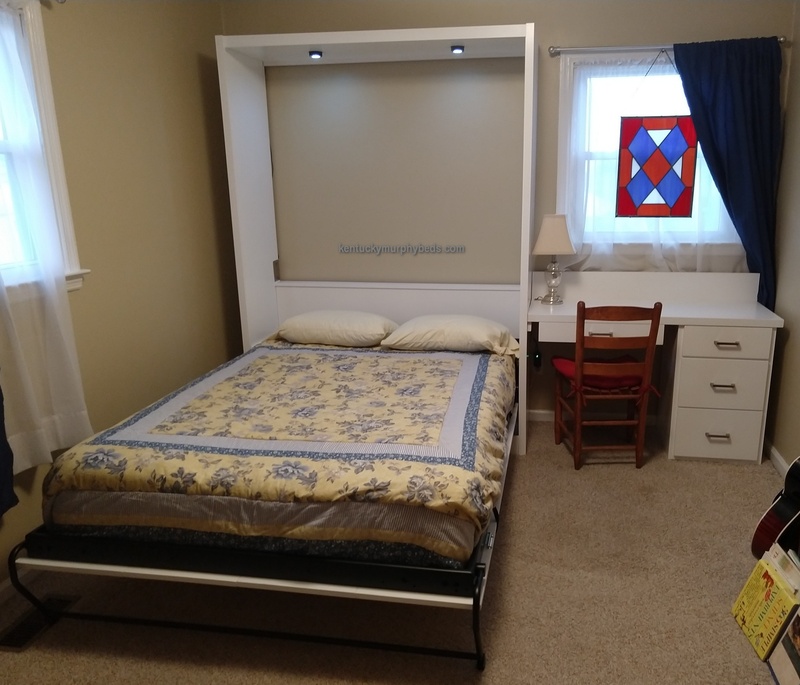 Our Murphy bed frames make it so easy and so quick to transform your space that you won’t hesitate to use your room for both a home office and a guest room (or a full-time bedroom). 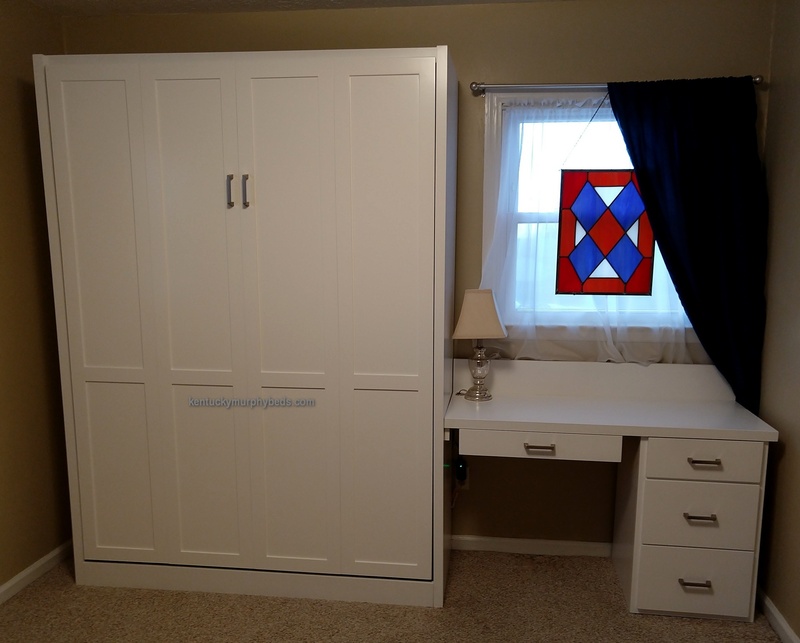 Daily use is not a problem or a hassle with the durable mechanisms of our panel bed or EZ rest frames. Shouldn’t your living space be as hard-working as you are? Contact us and let’s make it happen!